How to lose pregnancy weight ? Pregnancy is the most beautiful phase in the life of a woman. The new addition to your family brings so much joy and love to you. 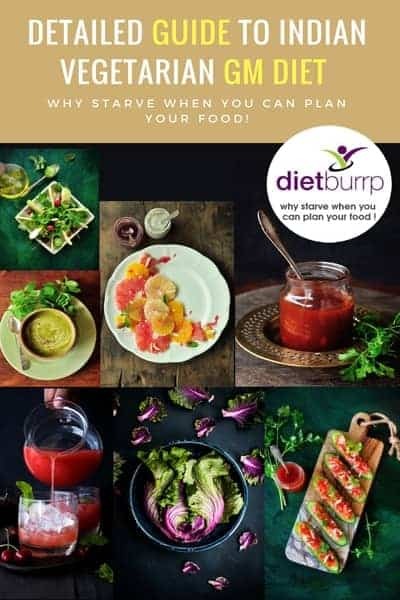 Along with the happiness comes a question which most women find worrisome – “How to lose pregnancy weight?” A lot of women wonder if they will ever get back to their pre-pregnancy body shape. Pregnancy and labour are phases where the body has to undergo a lot of hormonal, physical and mental changes, all of these account for the fat and weight gain. Keep reading to know how to lose pregnancy weight. You may wish to start at the earliest, but that is not wise. Don’t forget that until your baby is 6 months old, you are his only source of nutrition, any careless eating or dieting will have a direct impact on the baby’s health. So don’t rush. Just start eating wisely. Eat nutritious food and not all nutritious food is high in calorie. Choose wisely. Once you start giving top feeds to your baby, its time to consider your diet. You can start some low impact exercise like walking after 2-3 months, but do talk to your doctor before starting. Although it is wise to start with vigorous exercises only after 4-5 months. Do you know that breast feeding the baby can help you lose weight? Well this is true. A study published in American Journal of Clinical Nutrition states that women who breastfeed their babies are more likely to lose weight than those who do not. When the baby is breast feeding, a hormone called oxytocin is produced in the body which helps in weight loss. Breast feeding also helps in burning fat layers – a women burns around 500 calories a day by breast feeding. So how to lose weight after pregnancy ? Breast feed your baby ! – How to lose pregnancy weight after normal delivery:- You will be able to start with light exercises like walking, yoga and meditation by 3rd month. And 5th month onwards you can go for brisk exercises. Avoid heavy intensity and high resistance exercises for another month or 2. Do it only when you feel physically strong and you do not face difficulty while doing any exercise. The best part about walking is you can carry your baby along with you in strollers or slings. – Increase your daily activity level, take the staircase instead of lift, park your vehicle farther from your destination. etc. – It is best to ask your doctor about when you can start to lose pregnancy weight after a C-section. Approximately by 5th month it will be safe for you to start with low intensity exercises. – Do not start dieting for the first 3 months after delivery. From 4th month onwards you can start paying attention to exclude food items which are fat laden but lack nutrition, like French fries. – Avoid red meats , choose lean meats and fish and egg whites. – Avoid excess the three whites, namely Maida (refined flour), salt and sugar. – Include more of complex carbs like whole grains. – Drink as much of water as you can. This will take care of the metabolic waste load and thus make weight loss easy. Warm lemon water is also beneficial. – To lose weight effectively you need to avoid all the extra calories from junk and fast food. Snack on healthier foods like raisin and almonds, popcorn, popped cereals, baked veggies. Soups and salads. – I have seen a lot of ladies buying ragi chakli, and other so called healthy snacks. I would appeal you ladies to not get fooled by such smart snacks. Even if that chakli is made of ragi instead of besan, it is still deep fried in oil which does give similar calories as a regular chakli. Read labels to understand what you are actually eating. Post delivery a women undergoes from a lot of physical and mental stress, you will feel exhausted and tired at most times. You will notice that your work capacity and stamina has gone down. So you may wonder how to lose pregnancy weight in such condition. The physical exersion you did on a daily basis before conceiving looks like a big task. Don’t give up. It is just temporary, and nothing really can stop you from losing weight. So now you know how to lose pregnancy weight. Chart out a proper weight loss plan. Read how to lose weight effectively. hello payal ji,,,meri 6 dec ko c section delievery hui hai frm frst day to till now mujhe rest nhi mila kyunki baby colic hai so cry alot having other child aswell n ther was no kne look after me except husband so mujhe cooking washing sab karna pda toh mujhe fear hai ki khi meri health life long ke liye toh khrab nahi ho jayegy like m in stress ki mei phele jaise he ho jaungy without pain n weekness abhy pain hai back mei bt otherwise m ok to do house wrk slowly . dont worry , be mentally strong , there are a lot of women who remain alone and there is no one to look after them after delivery . do house hold work , but dont pick heavy things and bend much . looking after 2 kids is tedious . if your pocket allows , you should hire a help . eating proper food , a little ghee and those traditional laddoos will help you in great way to become strong again . I had my baby on 25th september last year by c.sec .. I have gained lot of weight ..speacially tummy area .. please suggest me some good diet plan .. and can i start gyming now .. or kapal bhati (yoga) As now my baby is on her 7th month .. I am not breast feeding her ..
yes its time that you can start good amount of exercises now . and if you are not breast feeding , you can follow the diet plans mentioned on dietburrp . 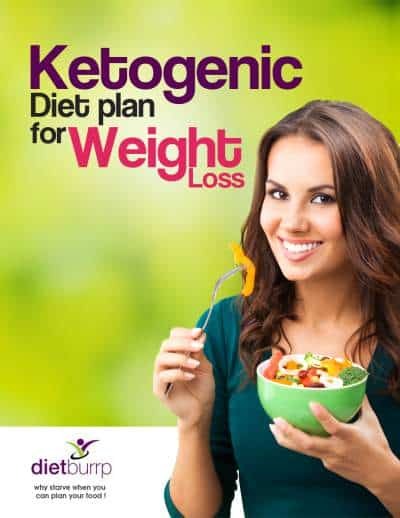 check this – http://www.dietburrp.com/indian-diet-plan-for-weight-loss/ this is a general 1200 calorie diet plan and has helped many. it may be of help to you as well. Hi.. I have undergone 15 weeks miscarriage twice. And hence gained 8 kg. Is it advisable to immediately start dieting to loose weight. I do not want to gain more weight during the rest period of 1 month. Please suggest something..
May god give you strength to hold through this period . i can understand your feelings , but please dont rush for weight loss . give it a month . and then get to a routine of eating healthy and exercising . get in touch with me once you feel strong enough , ill help u in detail. Hi mam i loss my baby on 16.05.2018 it’s happen obstruction.. actually i went Evry doctor check up every thing is fine. And when I 36 weeks and last 9th doctor said that u have time she told me. 09.09.2017 and ed 16.06.2018 /24.06.2018 in scan report my last delivery date given. but why suddenly it’s happen. and my next pregnancy when i plan and anything prablam for next baby now I’m worried about I’ have PCOd prabalm. Hi Mam, I delivered boy baby on Nov 8th 2018 and he is 8Month old now. During pregnancy had thyroxin 25mg tablet. Stopped breastfeeding him when my kid is 3month old due to lack of milk supply. I have gained almost 10-15kgs of weight and more intake of rice and meat during initial days of post pregnancy to boost up milk supply but its of no use. I tried using maternity belts but stomach looks bigger and am looking like 7-8 month pregnant even now. My stomach seems to be hard and everyone saying me that I cant lose my belly weight. I am scared,worried and I have joined back to work since July 2018 in the IT company. So there will not be much physical activities as well. Please tell me whether will I be able to reduce weight and tummy size even if I start now. Guide me with healthy diet plan-exercise schedule which I should follow.